Chesca Garcia watched iKON's concert with her daughters, Scarlett and Kendra, who are both big fans of Bobby. 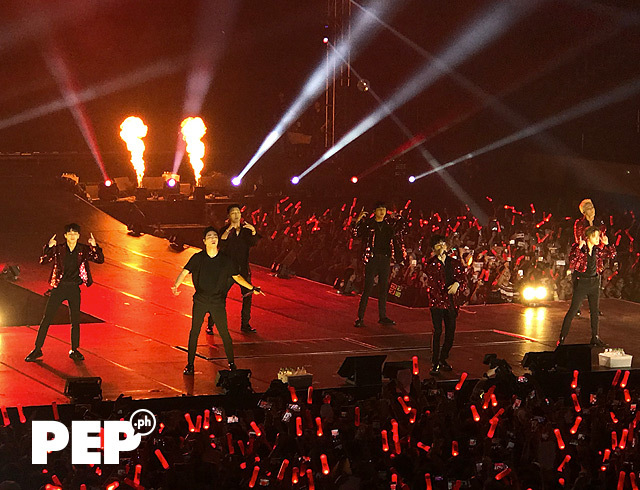 iKON's 2018 Continue Tour in Manila was held on Sunday night, November 11, at the SM Mall of Asia Arena. 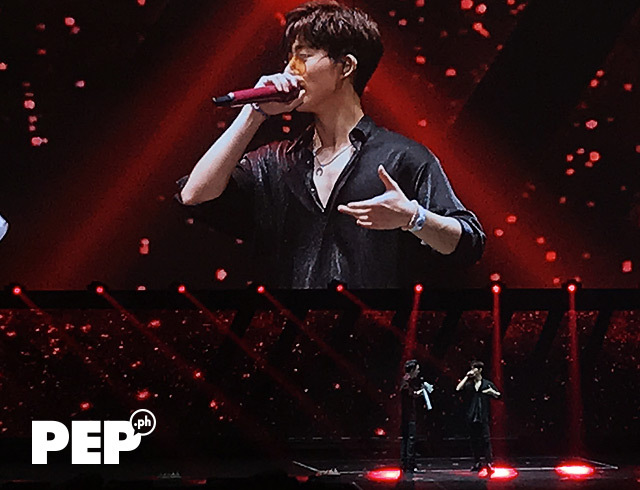 Around 18,000 fans of South Korean idol group iKON gathered to watch their first-ever concert in Manila on Sunday night, November 11.
iKON—composed of B.I, Bobby, Jay, Ju-ne, Yunhyeong, DK, and Chan—performed their chart-topping hits during their 2018 Continue Tour at the SM Mall of Asia Arena. The Philippine concert was made possible by YG Entertainment, Live Nation, and PULP Live World. 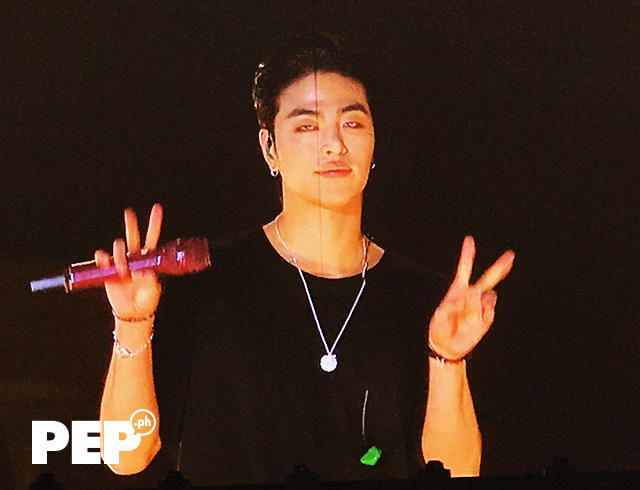 While waiting for the seven-member YG Entertainment boy band to perform, Filipino concertgoers already started singing along to iKON's songs and waving their red "Konbat" light sticks. Chesca Garcia watched the concert with her daughters Scarlett and Kendra who are both fans of the K-pop boy band. Chesca and her daughters even had the chance to take their photos with their favorite member Bobby. 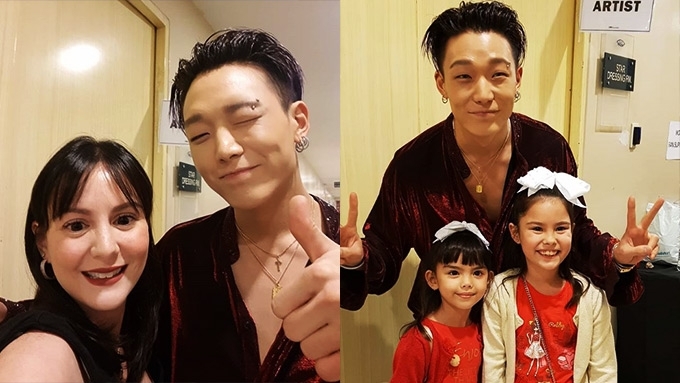 The 38-year-old celebrity shared the photo on Instagram and expressed her gratitude to Bobby for making Scarlet's birthday wish come true. Chesca had her own selfie with the 22-year-old K-pop idol. After their meeting, Kim posted a photo of letters from Kendra and Scarlett and wrote in the caption of his Instagram story: "Thank you so much for coming!!!!" It can be remembered that Scarlett's video asking Bobby to come to her birthday went viral early this year. Bobby was able to watch the video and he immediately gave the young Kramer a birthday greeting months ahead of her 7th birthday that will take place this November 28.
iKON started the Manila concert by performing the song "Bling Bling." The party continued with their performances of "Sinosijak" followed by "Showtime." 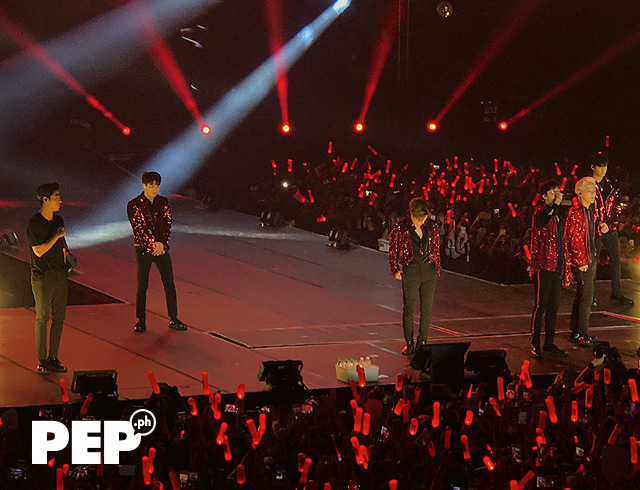 Filipino iKonics (members of the the band's fan club) sang along as their idols rocked the stage with "Rhythm Ta." After the first few songs, the members took a short break to greet their Pinoy fans. Jay told the crowd, "You guys are so passionate and I'm so proud. Let's have a good show. Thank you!" The 24-year-old singer said he was glad to have the chance to return to the Philippines. Jay revealed that he spent his high school years in the country. He said, "I have a special tie with the Philippines. "I used to stay here... Actually not here, in Davao City. During my high school days and I have such good memories in here. "So Manila, it's my city yow! I love you!" Bobby asked Jay if he knows how to speak Tagalog but the singer replied, "I was in Davao so I can speak a little bit Bisaya." He then taught Bobby how to say: "Mahal namin kayo!" Bobby asked Jay about his favorite moments in the Philippines. Jay quipped, "At that time, I was a little bit popular in Davao. So many girls like me!" Jay told the other iKON members that he will bring them to a beach in the Philippines. He said, "When we have enough time, we should go to the beach." The septet continued the show with their renditions of "Cocktail" and "Only You." Members B.I. 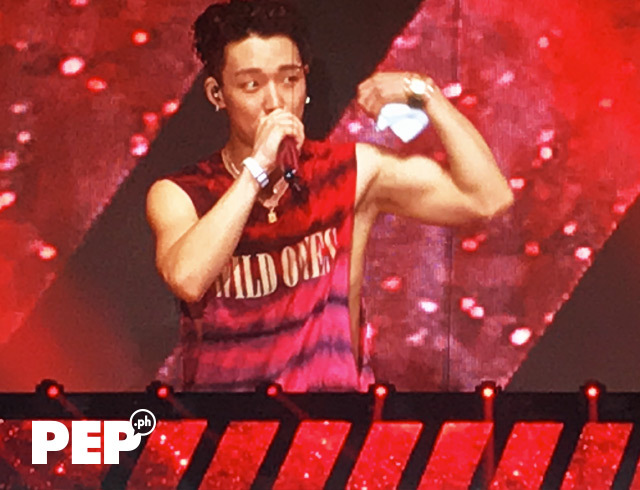 and Bobby had a shout-out showdown with their Filipino fans. 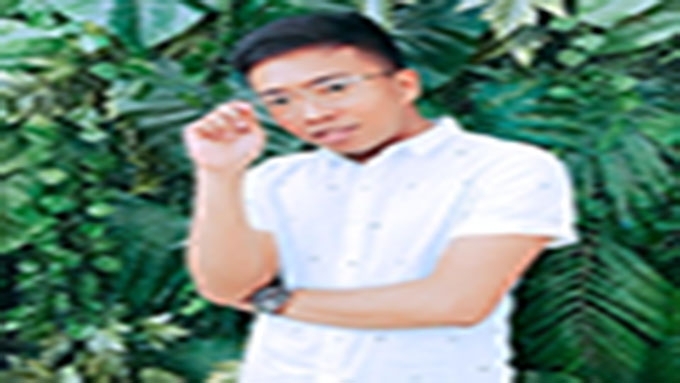 For the next segment, the boy band's vocal line--composed of Ju-ne (photo below), Donghyuk, Yunhyeong, Chan, and Jinhwan--serenaded fans with "Perfect." Meanwhile, rappers B.I. and Bobby had solo performances. Bobby rocked the stage with his song "Tendae." B.I., on the other hand, emerged on stage sitting on a throne as he performed his song "One and Only." The two rappers then joined forces for their performance of "Anthem." The other members joined Bobby and B.I. after their solo performances. Fans waved a yellow piece of cloth as the band rocked the stage with their song "B-Day." 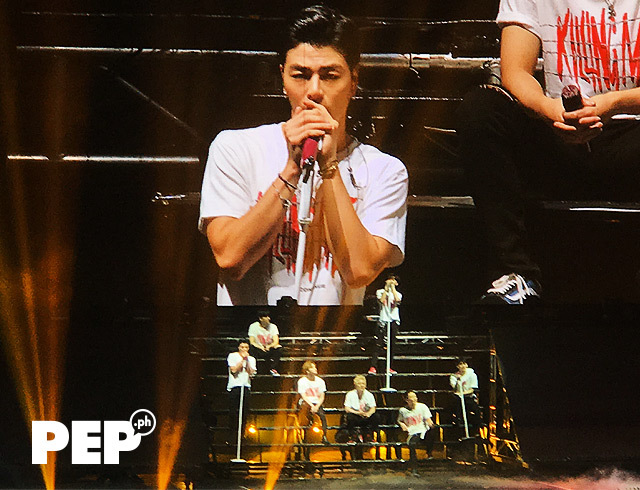 iKON also treated concertgoers to a performance of the song "My Type." 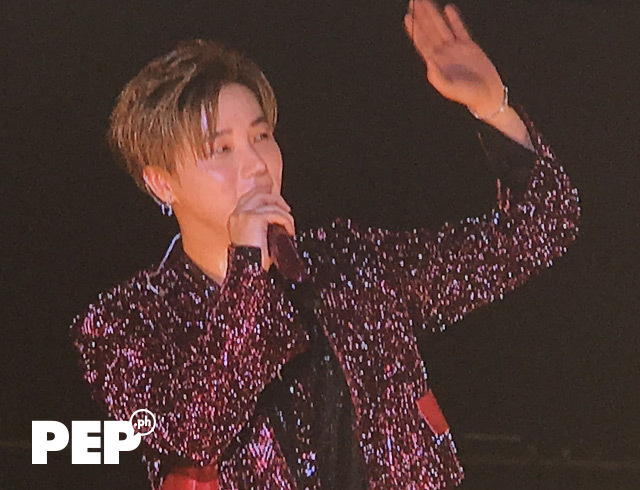 At one point, Jinhwan had to wear a unicorn onesie during their performance of the song "Best Friend" when none of the members picked him to be their partner for the performance. The concert continued with their performances of "Rubber Band" and "Everything." Ju-ne received loud screams when he proudly showed off his abs. The singer told the crowd that he has been working out to achieve his well-toned abs. 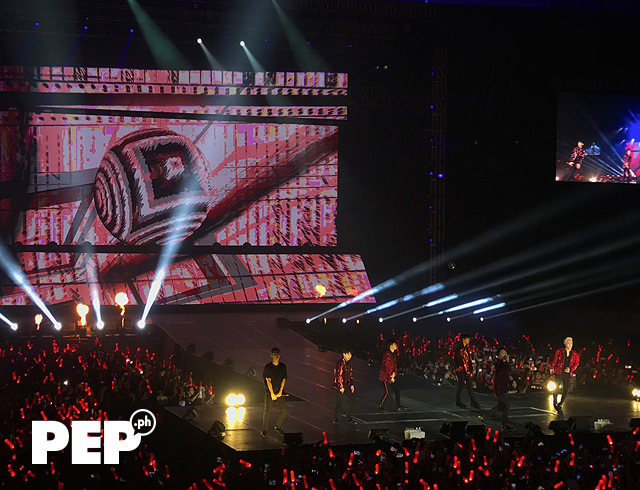 Towards the last part of their concert, iKON performed their chart-topping hits, including the song "Goodbye Road." 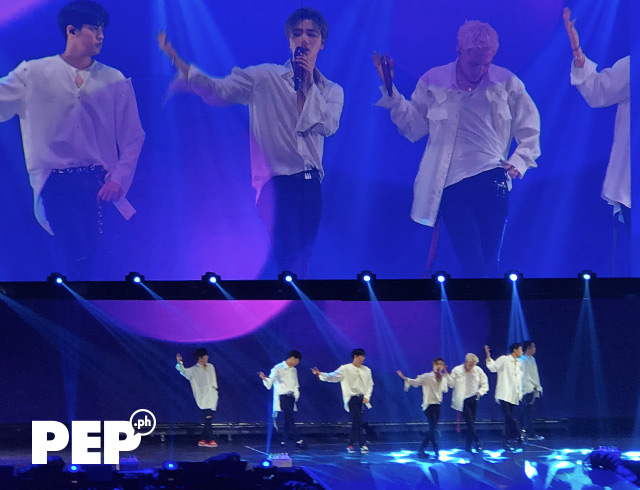 Concertgoers sang along when they heard the first few beats of the song "Love Scenario," the band's biggest hit since their debut in 2015.
iKON also performed "Killing Me" and "Freedom" for their Filipino fans. 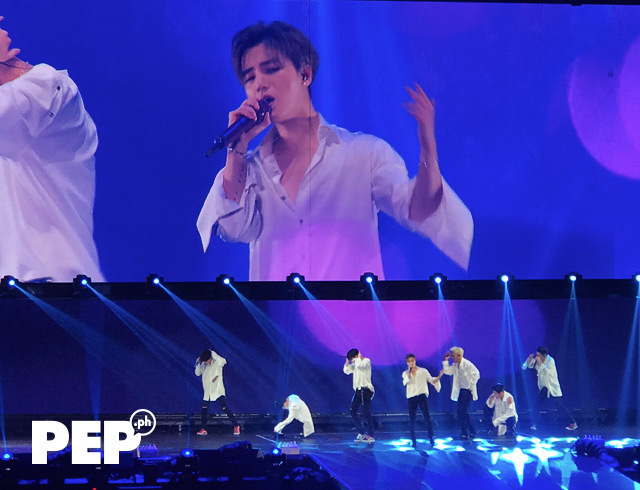 While waiting for the idol group to return on stage for their encore performances, Filipino iKonics lit up the arena with rainbow-colored lights. The members were left in awe after seeing bright rainbow colors in the arena. 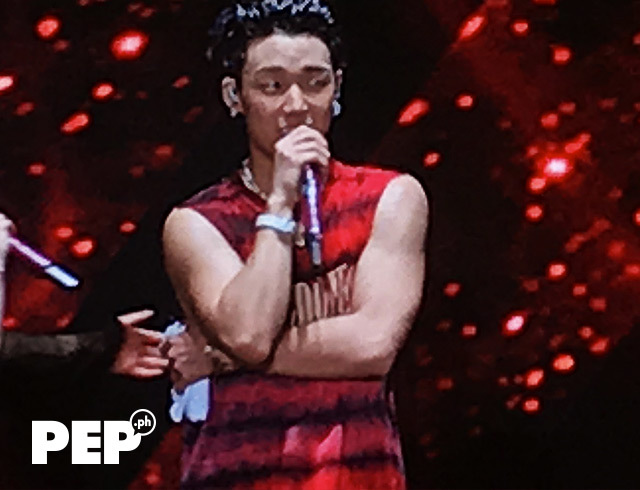 For their encore, iKON performed "Just For You," "Don't Let Me Know," and "Dumb&Dumber." The boy band also did another rendition of the songs "Love Scenario" and "B-Day." 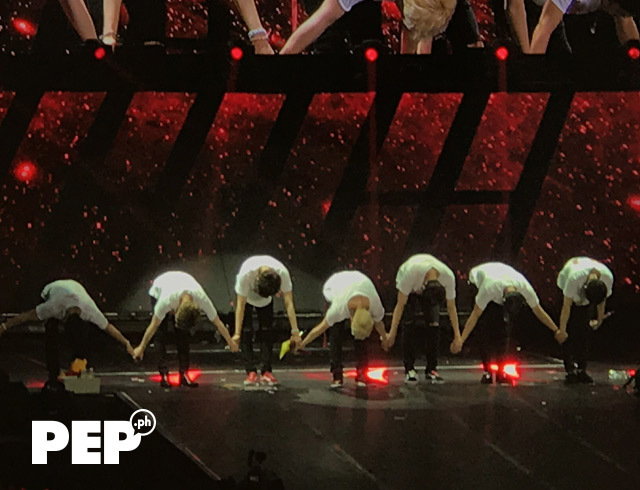 After their performances, the members lined up and gave a very low bow to show how thankful they are for their Filipino fans. 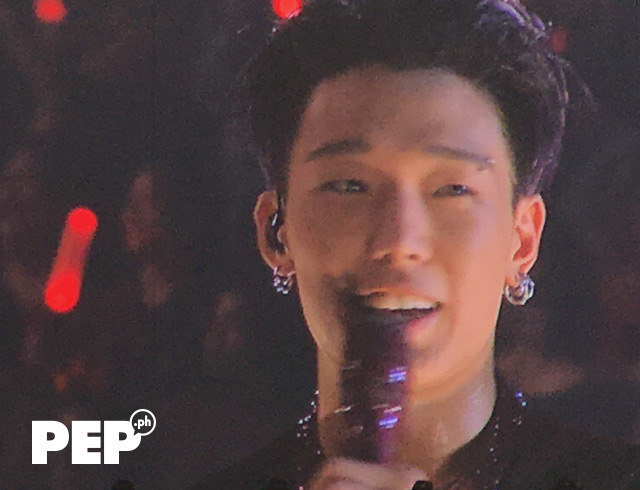 Before leaving, Bobby told the audience, "Thank you so much for coming. Sorry for [not being able to come sooner] but we finally came here to see you guys and we're so, so freakin' happy."